LAU’s tennis, basketball, volleyball and futsal teams participated in the sixth Eurokonstantia Sports Tournament in Konstanz, Germany. 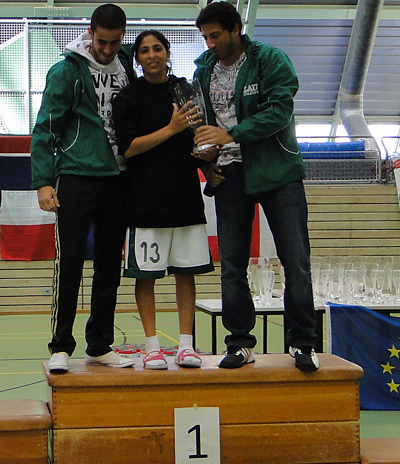 LAU's mixed tennis team won first place at the sixth Eurokonstantia Sports Tournament in Germany. 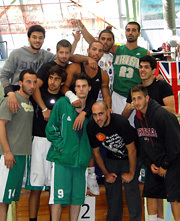 The LAU men's basketball team took second place, after losing in the final against the University of Zagreb (Croatia). 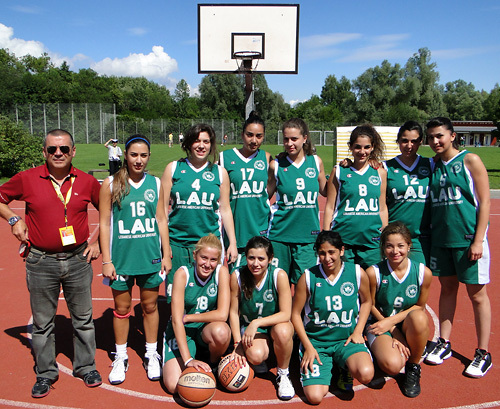 The LAU women's basketball team also took second place in the tournament. The players of the LAU women's volleyball team, the second-place winners, on the podium. 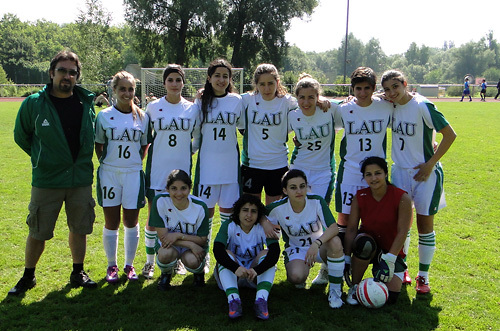 The LAU women's football team also participated in the tournament. Click on any photo above to view all five images. LAU’s sports delegation returned with some honorable results from the sixth Eurokonstantia Sports Tournament, organized and held at the University of Konstanz, on Lake Bodensee in Germany, from June 9–13. LAU’s mixed tennis team won first place, while the men’s and women’s basketball, and women’s volleyball teams took second places, and the women’s futsal team third place. Accompanied by their coaches, 46 LAU male and female athletes competed in men’s and women’s basketball, women’s volleyball and 5x5 football, and mixed tennis. Over 700 athletes from 15 different universities and countries — including Germany, Bulgaria, Croatia, France, Italy, Slovakia, Switzerland, Russia, Ukraine, and Pakistan — competed in various types of sports, which also featured rugby and mixed handball. The LAU mixed tennis team — composed of students Wahib Maknieh, Rami Alayli, Bassel Charafeddine, Said Karam, Reine Alameh, Anastasia Kuvalina, Carla Kozandjian and Aline Khatchadourian — took first place, after defeating the University of Bonn (Germany), University of Konstanz (Germany), and Lahore University of Management Sciences (Pakistan). Both the men’s and women’s basketball teams took heart-breaking second places, after both losing in breathtaking finals against the University of Zagreb (Croatia), while the women’s volleyball team lost in the final against the University of Fribourg (Germany). 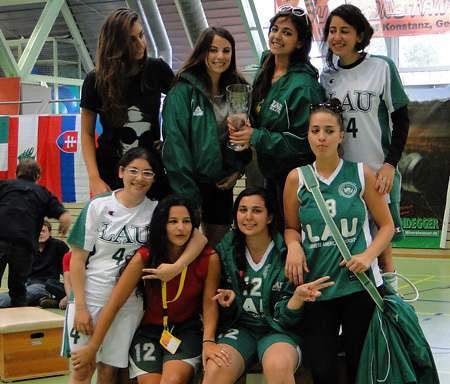 The LAU women’s futsal team was handed third place. 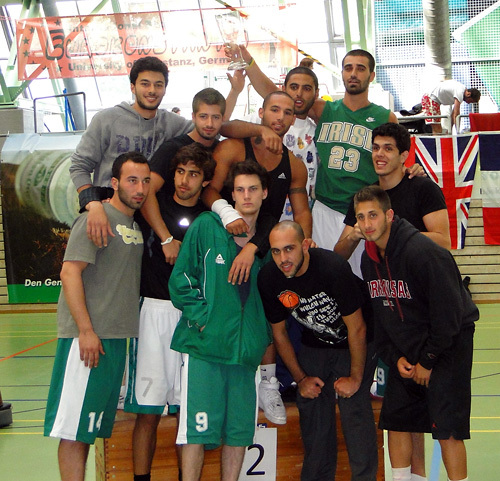 “The team was by far the best team among the six other competitors,” says Sami Garabedian, LAU Beirut Athletics Director. “But the tournament organizers — probably to give an edge to local teams — decided to conclude the tournament with LAU still needing to play their last match, which would have handed us a possible share of first place,” he adds. 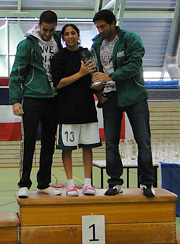 LAU took second place overall in the general standings, right behind the University of Zagreb.